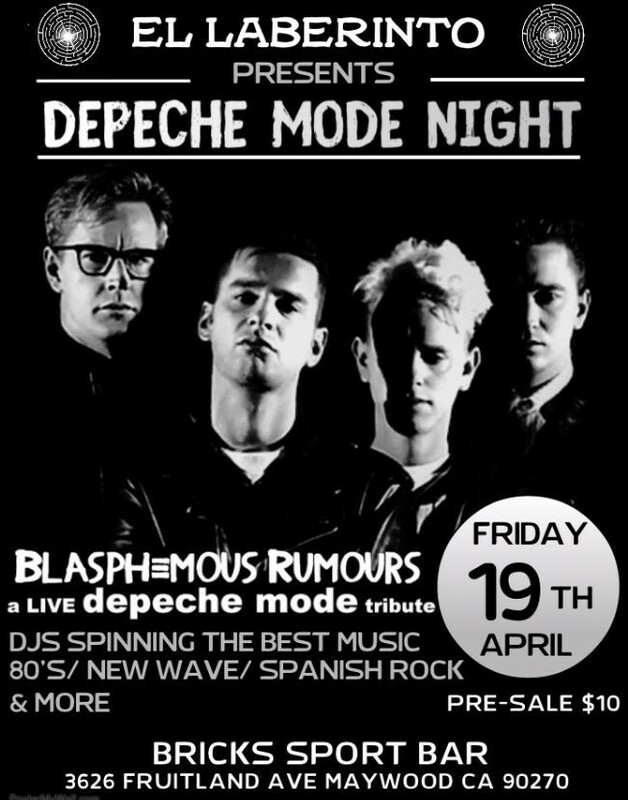 A Live DEPECHE MODE Tribute!! A GREAT NIGHT at Bricks Sport Bar on Maywood!! Friday April 19th ... Live the DM experience!!! Performing The Best DM tribute - BLASPHEMOUS RUMOURS! !